A crisp dry day with very little wind, but very bright, I’m sure the fish sensed the pending cold snap as bites were hard to come by for most, especially on the pole. 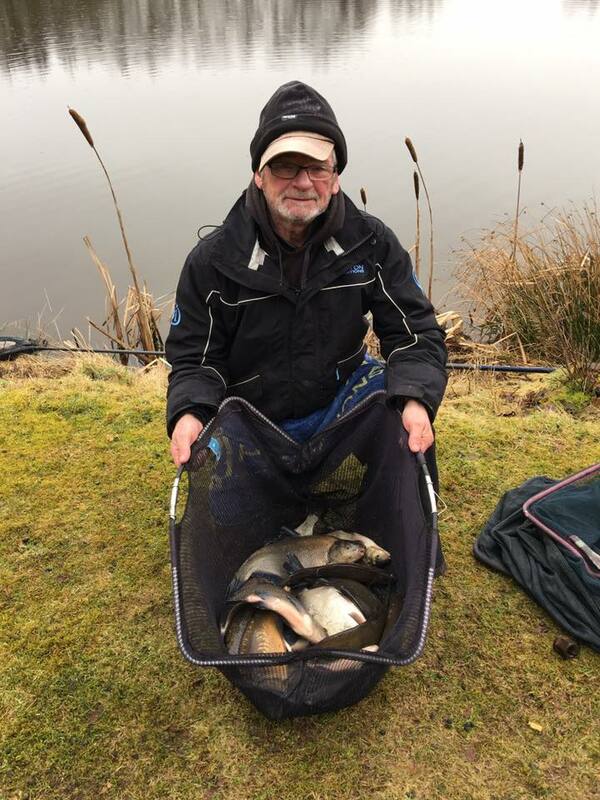 Geoff had a lovely day’s fishing on the tip rod/method feeder catching carp in little spells throughout the match to weigh in a cracking winter weight of 62lbs 6oz. 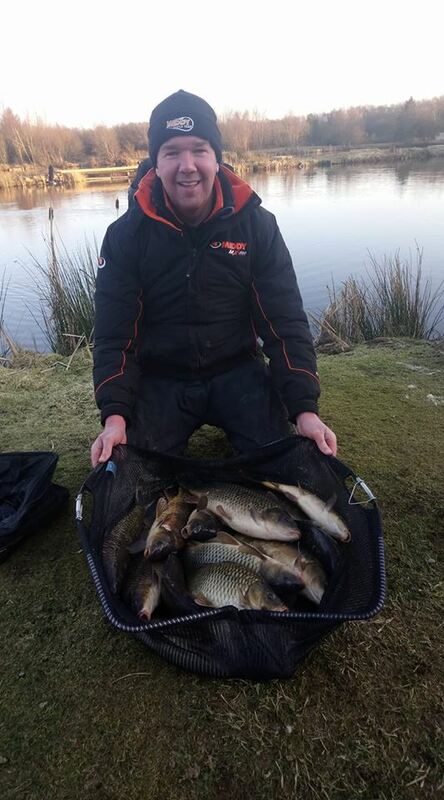 Skimmers pretty much made up the other weights, with most being caught on cage feeder/maggot, Ian Whitson managing 6 nice ones and a few small perch to take 2nd place, with Symon Willan landing 3 small Carp to finish 3rd. On Queensberry, it was equally as tough, again with fish reluctant to come on the pole lines. , and made the most of it catching Carp on the tip rod,. 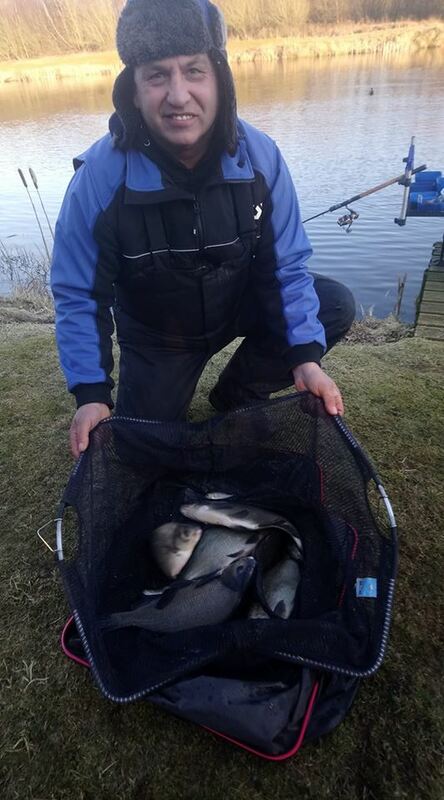 Most of his fish coming late afternoon to win comfortably with 39lbs. The rest of the field had to scratch away at small fish, with Rosen Arsov taking second place with 8lbs of gudgeon and small blades. 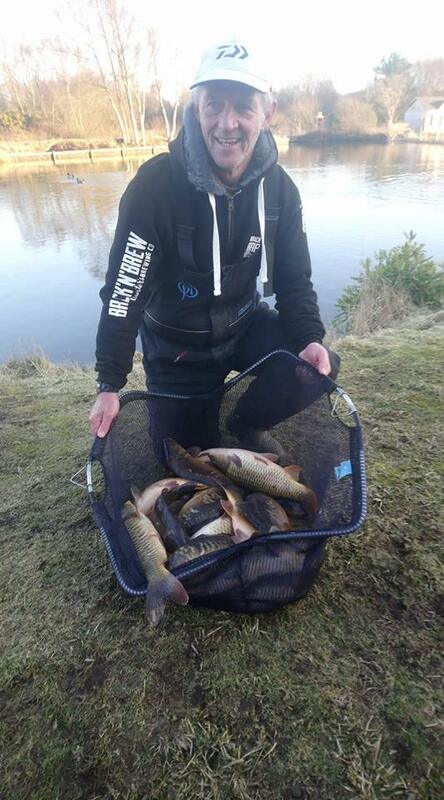 Not ideal conditions today, but two notable winter weights, dominated by carp. Strangely there wasn’t a single ide caught on Wallace Lake today, with everyone expecting a late feeding frenzy going by recent matches it just didn’t happen..! Sometimes the fish know best.